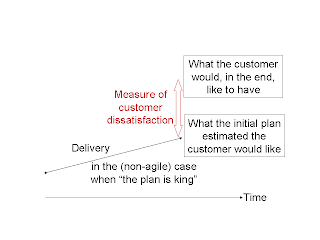 Communications via words often isn’t enough. You generally need pictures too. 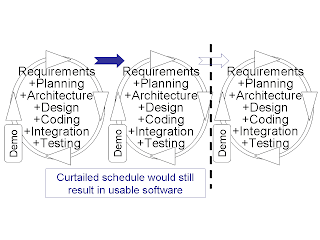 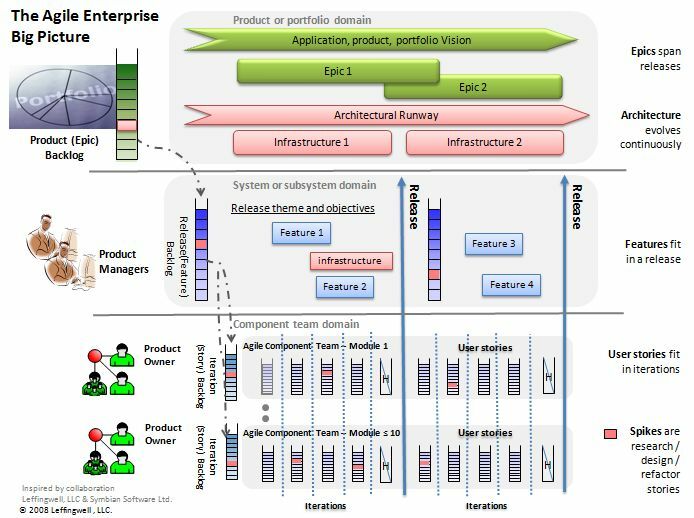 The last two pictures in this series are an attempt to show how Agile can be applied in multiple layers in the more complex environment of large-scale (“enterprise-scale”) software projects. 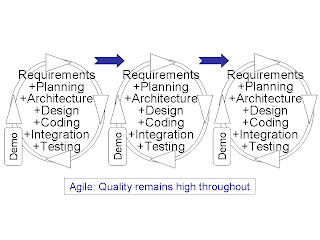 Of course, it’s particularly challenging to gain the benefits of Agile in these larger environments. 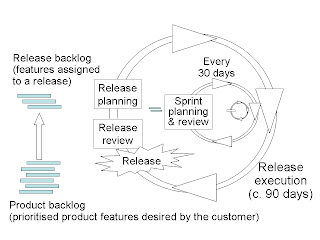 I drew these diagrams (almost exactly 12 months ago) after having read fairly widely in the Agile literature. 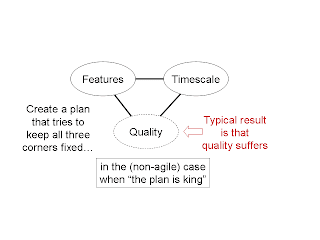 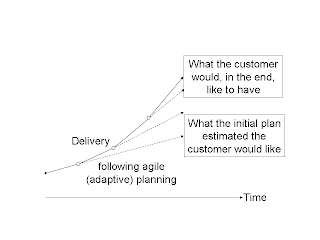 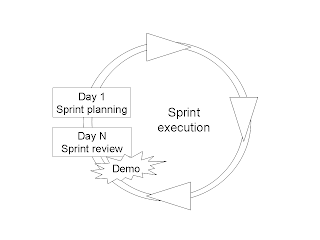 So these diagrams draw upon the insights of many Agile advocates. 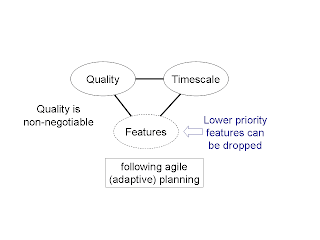 Someone who influenced me more than most was Dean Leffingwell, author of the easy-to-read yet full-of-substance book “Scaling Software Agility: Best practices for large enterprises” that I’ve already mentioned in this blog. 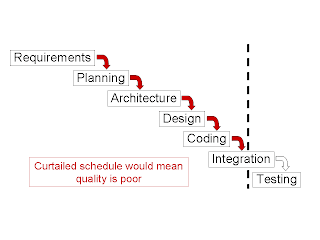 I’d also like to highlight the “How to be Agile without being Extreme” course developed and delivered by Construx as being particularly helpful for Symbian.